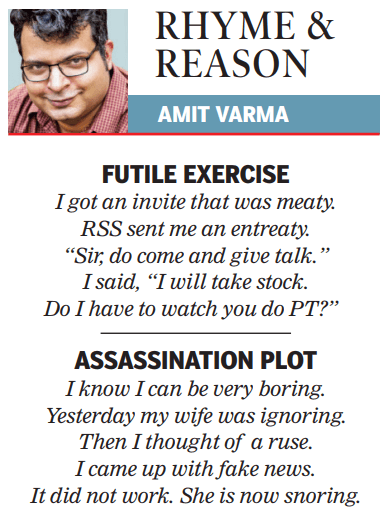 This is the 82nd installment of Rhyme and Reason, my weekly set of limericks for the Sunday Times of India edit page. I got an invite that was meaty. RSS sent me an entreaty. I said, “I will take stock. I know I can be very boring. Yesterday my wife was ignoring. Then I thought of a ruse. 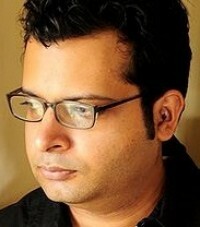 I came up with fake news. It did not work. She is now snoring.